It's being reported (here and here) that Manitoba and Israel recently signed agreements to cooperate on various endeavors, including "an agreement to share and develop technologies designed to improve water quality in both Manitoba and Israel." According to this chart, Canada has 3,300 cubic kilometers of freshwater reserves, 7-9% of the world's total. Israel has 1.7 cu kms. Let's assume that the estimate for Canada is rounded off. That means it's neglecting, based on the law of averages, 25 cu kms. In other words, Canada has about 2,000x more freshwater reserves than Israel, and that it can afford to ignore 10x the amount of water that Israel has. 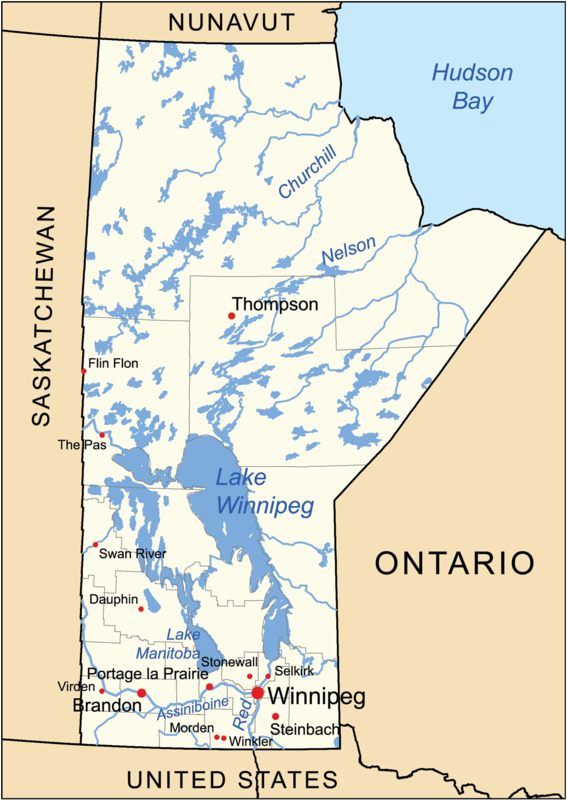 Manitoba's largest freshwater lake is Lake Winnipeg, the 10th largest freshwater lake in the world. It has about 75x more volume than the Sea of Galilee, Israel's largest freshwater lake. Manitoba has more than 100,000 lakes. Manitoba itself has about 1% of the world's freshwater reserves, for a population of just over 1 million. Do we even need to do the math comparing this to Israel? So what kind of agreement was reached? Will Manitoba start piping freshwater to Israel? That would be nice, but unfortunately not possible. Do the Manitobans have water technology that Israel can use? Doubtful. Israel's been a leader in that field for a long time, a reality born of necessity. Is there some secret super-frum Manitoban Chasidic sect who need Badatz certified water imported from Israel? No, they're in Quebec and Ontario. Are Manitobans so anxious about their super-abundant freshwater supply that they're adopting drip-irrigation technologies? Talk about selling snow to Eskimos! In short, I'm baffled. If anyone can shed light, I'd be grateful.